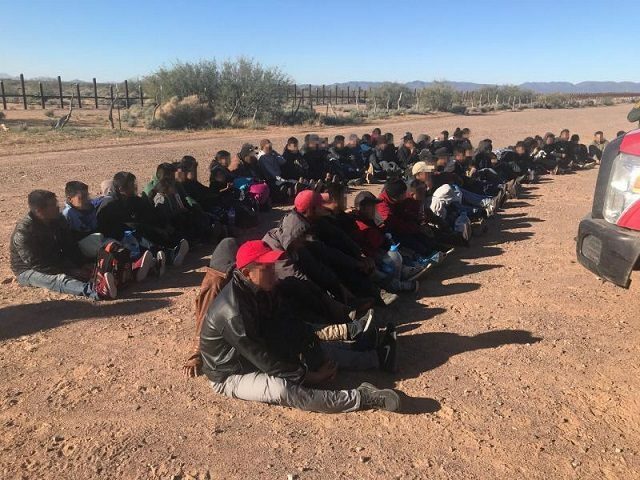 A report from U.S. Customs and Border Protection (CBP) states that Border Patrol agents in the nine southwest border sectors apprehended 201,497 migrants who illegally crossed the border between ports of entry between October 1, 2018, and January 31, 2019. This nearly doubles the prior fiscal year’s numbers for the same period (109,543). However, when focusing on the surge of migrant families crossing the border, this year’s apprehensions nearly quadruple the previous year’s apprehensions. During the first four months of Fiscal Year 2019, agents apprehended 99,901 Family Unit Aliens (FMUA) — nearly half of the total number of migrants apprehended. This is up from 25,328 during the same period in FY2018. The combination of FMUA apprehensions this year combined with Unaccompanied Alien Children (UAC) — a total of 120,024 families and unaccompanied minors — represents nearly 60 percent of all migrant apprehensions this year. This compares to 36 percent of the total migrants apprehended in FY2018. The largest increase in migrant family apprehensions came in the El Paso Sector where Central American migrants who are exploiting unsecured sections of the New Mexico border increased by 1,588 percent over the first four months of FY2018. Six other Border Patrol sectors along the southwest border also recorded triple-digit percentages of increased family migrant apprehensions. The largest number of migrant families came to the U.S. from Guatemala (50,593). This accounts for more than 25 percent of all migrant apprehensions this year. This is followed by Honduras (36,009) and El Salvador (9,146). Unaccompanied minors follow similar patterns, the report states. Of the 20,123 UACs apprehended during FY2019, 9,522 came from Guatemala (47 percent of total UACs apprehended). This is followed by Honduras (4,833) and El Salvador (2,292). Department of Homeland Security Secretary Kirstjen Nielsen said Congress’ failure to provide adequate funding for border security and to address the laws being exploited by these migrant families and minors has pushed the system “to a breaking point,” Breitbart News reported. “To those in Congress who continue to refuse to take action to address the loopholes that cause a flood of humanity to travel north and place children at risk, I once again call on you to do your job, protect vulnerable populations, secure our borders, and provide the men and women of DHS the authorities and resources we need to address this crisis,” she concluded.